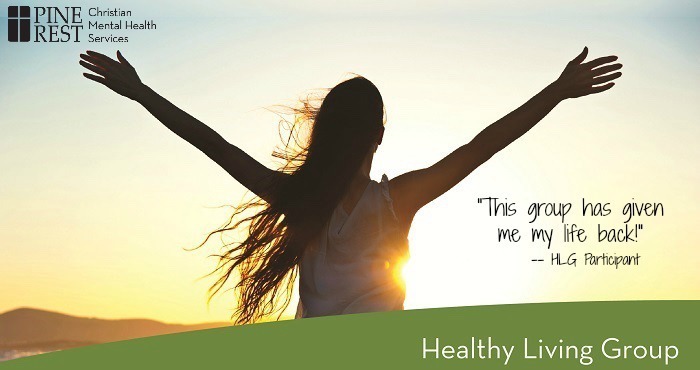 The Healthy Living Groups are designed to meet the needs of individuals struggling with depression, anxiety or mood regulation problems and are committed to learning and practicing means of maintaining and improving their mental health care to prevent future hospitalizations or significant mental health problems. Separate groups for adults (ages 18+) and teenagers (ages 13-18) are available. Dates and times vary by location. Insurance is accepted. Financial assistance may be available. For more information or to register for an Orientation Meeting, please call 866.852.4001 or talk to your Pine Rest therapist or case manager. Click on the tabs below to expand each category, for further details and information on our Adult Healthy Living classes, as well as our Adolescent Healthy Living Group. The benefit of learning in a group format is that you not only have access to a trained mental health therapist, but also to peers that have been through similar experiences and can offer insight and support that is hard to get any other way. The group meets once a week for 12 weeks. New group members can join at any time. Group therapy is a covered service for most insurance providers. Financial assistance may be available for those who qualify. If interested, talk to your case manager or therapist to set up an orientation meeting with one of the group facilitators or call Pine Rest Central Access at 866.852.4001. Mark Steenwyk, PsyD, is a licensed Psychologist who created the Healthy Living Group in 2013 to provide a supportive community of healing for those struggling with depression,anxiety and bipolar disorders. Dr. Steenwyk runs the group at the Northeast Clinic where he also works with individuals struggling with a broad range of mental health concerns. Dr. Steenwyk is a Grand Rapids native and is passionate about caring for the mental health care needs of his community. Tom Karel, MA, CAADC is a masters level psychologist who has 25 years’ experience in treating mental health and substance use disorders. He has been with Pine Rest for 16 years and is the facilitator of the Monday evening group at the Campus Clinic. When not at Pine Rest, you might not recognize him without his bowtie! Mark Sanders, PsyD, a licensed Psychologist at the Southwest Clinic, identifies as a general practitioner with clinical interests including, but not limited to: religious/spiritual concerns, LGBTQ+, relational difficulties, trauma, depression, anxiety, multicultural issues, and grief/loss. As a therapist, Mark hopes to meet each client where they are and work with them to develop and work towards goals that fit within their values. The Adolescent Healthy Living Group is a program offered through Pine Rest designed to meet the needs of teens 13 years and older, who are struggling with depression, anxiety or mood regulation problems. Have been struggling with mental health problems that are negatively affecting your school and/or home life, and you and your family can benefit from additional support. Are interested in learning ways that parents and teens can work together to communicate and problem solve. 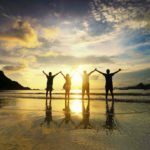 Are interested in meeting other people who understand what it is like to struggle with anxiety, depression, or mood regulation problems and can support you in your efforts to get better. The benefit of learning in a group format is that you not only have access to a trained mental health therapist, but also to teens and families that have been through similar experiences to you. This setting offers insight and support that is hard to get in any other way. AHLG meets once a week for 12 weeks. Upon initial referral, an AHLG orientation session will be scheduled with a group leader. New members may join at the start of the 12 week cycle. For more information about the current cycle dates, contact 866.852.4001. Upon graduation from AHLG, group members may choose to join the Adolescent Healthy Living Graduate Group. This process oriented group allows for continued peer support and topic review as needed. Group therapy is a covered service for most insurance providers. Financial assistance may be available for those who qualify. If you are interested in a referral, talk to your Pine Rest case manager, psychiatrist, or therapist or call Pine Rest Central Access at 866.852.4001. Maria Gruppen, PsyD, is a licensed psychologist who has worked with adolescents and their families in a wide variety of settings including school, inpatient and outpatient services. She has experience treating clients with a broad range of mood, anxiety and behavioral issues. Originally from North Carolina, Dr. Gruppen joined Pine Rest in 2015. Greg Mallis, PsyD, is a licensed psychologist who works with individuals struggling with a broad range of mental health concerns. Dr. Mallis is originally from southern California but moved to Grand Rapids in 2013. In his downtime, Dr. Mallis enjoys tinkering with technology and building computers. Cherie Keating, MSW, is a licensed Master’s level social worker with extensive experience working with children, adolescents and their families. She has provided school-based, home-based and outpatient services to those suffering with many different mental health diagnoses. Cherie was born in Grand Rapids and was thrilled to move back in 2015 when she joined the team at Pine Rest. The Adolescent Healthy Living Group is a program offered through Pine Rest designed to meet the needs of teens 13 years and older who are struggling with depression, anxiety or mood regulation problems. Designed to meet the needs of individuals who are struggling with depression, anxiety, or mood regulation problems, this Adult Healthy Living Group is held weekly on Mondays at Pine Rest's Campus Clinic. Designed for individuals struggling with depression, anxiety, or mood regulation problems, this Adult Healthy Living Group is held weekly on Tuesdays at the Pine Rest Northeast Clinic. For more information or to register for an Orientation Meeting, please call 866.852.4001 or talk to your therapist or case manager.